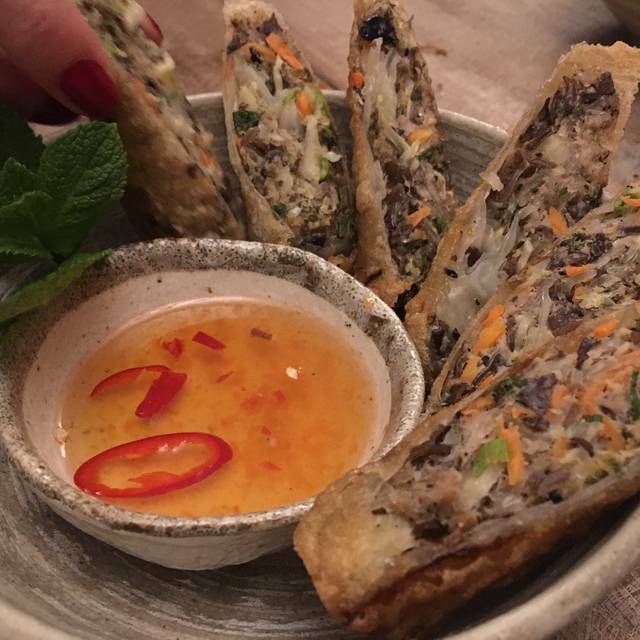 Fresh, healthy and most importantly, tasty food from Vietnam; The Little Viet Kitchen started out life as a food blog and supperclub. 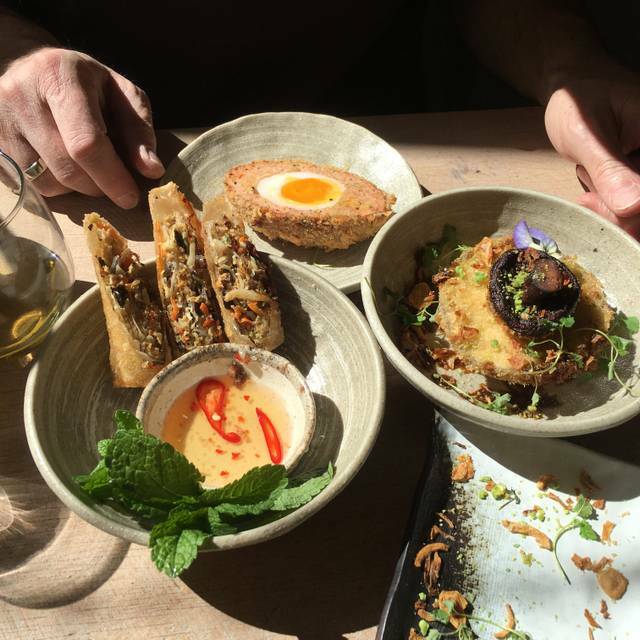 After a year hosting people from her flat in Angel, Executive Chef Thuy Pham ran a much acclaimed pop-up in Highbury, before focusing her attention on opening her restaurant, The Little Viet Kitchen, in Chapel Market, Islington. Delicious meal with amazing flavours . I had wanted to come to this restaurant ever since I was given the Cookery book as a birthday gift. Only small negative is we were still enjoying the end of our meal and the ambiance and had to vacate the table ( we did know this when we booked but time went very quickly) ... ended up going somewhere else for coffees and liqueurs. Overall though a fantastic meal - caramelised salmon and Vietnamese salad so delicious, my husband loved the coconut and lemongrass beef curry. It was a lovely experience but just one point to raise. I felt the choice on the lunch menu was very restricted edpecially as I don’t eat meat. Otherwise I’d definitely go back but I’ll be booking for dinner. Really good pho, very fresh-tasting. However, was quite overpriced. The food was delicious!I recommend for your first time vietnamese experience! The pho was really good! and the crispy dumplings Omg! I never had anything Like that! The restaurant is lovely decorated And the waiters were friendly. Downside: the place was really hot, crowded and loud. Its just too stuffed in such a small room! Putting a few tables less will make dining more enjoyable and the Waiters more space to move. The food is great, especially the Beef Pho, with a generous portion of beef. 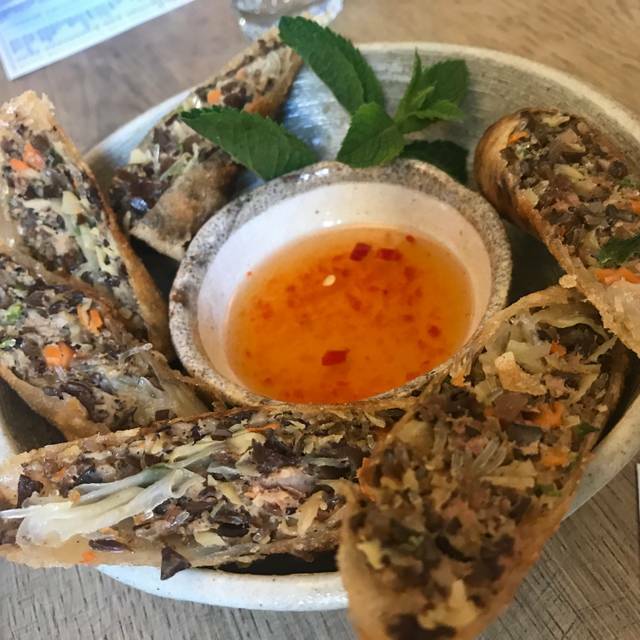 The most delicious Vietnamese food I have tasted in London! Would highly recommend to anyone! A living room style atmosphere and good drinks selection! Would definitely come again! We love coming here, so much so you nearly want to keep it to yourself! The menu has changed over time but it is still as tasty as always - limited vegetarian options which is a pity, please include veg spring roles and veg dumplings at least! In terms of value for money knocked off a star as even though you pay £15/£16 for a curry you have to order the rice as a separate which is annoying.... however the food is absolutely delicious and the sauces are divine (try the broccoli stems!) - some simple tweaks and hands down I'd give them 5 stars all the way! The food was really good and the restaurant is so cute! I would recommend it for sure! I was walking through Camden market when I stumbled upon a little piece of Vietnam . With little expectation and a lot of appetit . As I walked in was greeted by their very friendly staff . They explained carefully the menu and told them my preference. In no time the food was served. My taste buds never experienced so many different ingredients . I was so surprised how wonderful the food is . I defenetly recommend this resteraunt , and I will be frequently going . If you haven't been you don't know what you are missing . 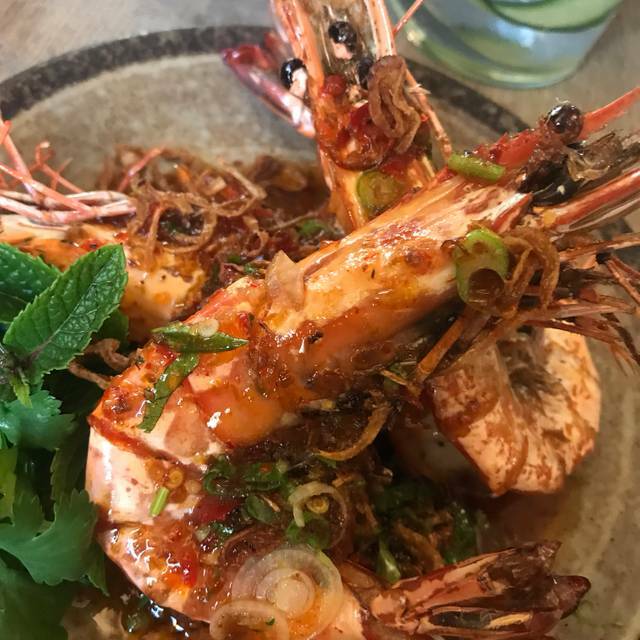 Third visit to LVK, Thuy and her team never fail to disappoint. If amazing Vietnamese flavors are your thing then this is the place for you. 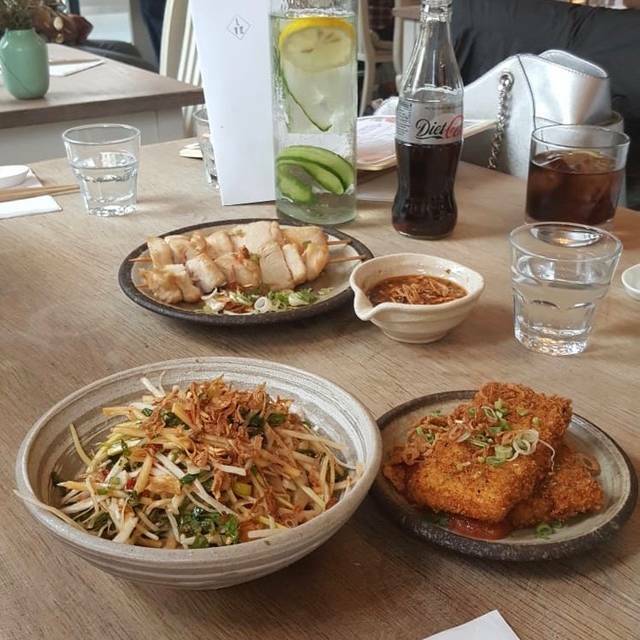 Beautiful food, amazing staff, lovely restaurant, this is Vietnamese food at its very best. 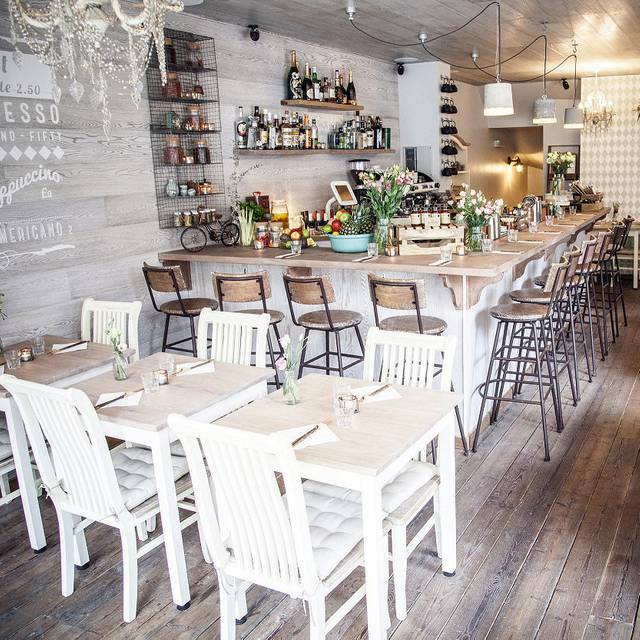 Next time you fancy an amazing food fix head here, you'll be pleased that you did! Authentic Southeast Asian cuisine. 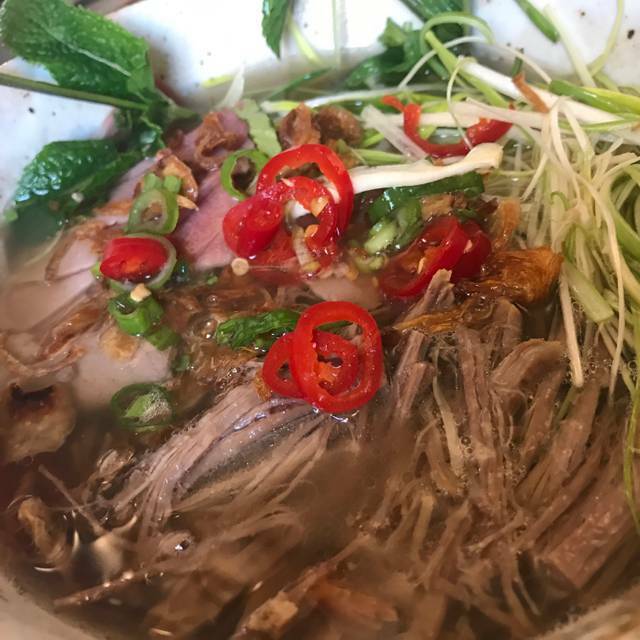 The most legit bowl of pho in London! We absolutely loved our visit. It’s been on our bucket list. The ambience was exactly what we expected from all the pictures online. The restaurant is small but well layed out. Fantastic decor. The staff were super friendly and attentive. The food was stunning. We ordered a feast to share and it didn’t disappoint. Good value for money. And they served Margarita’s which is a must for me. We felt like we got the personal touch. Can’t wait to go back! Went here for a date and had the best pho I had came across in London. Place is voted “Best Asian in UK”. Very possible!! The best Pho I have ever had in the UK, and fantastic starters too, all the sauces were quite authentic. Overpriced for what it was. 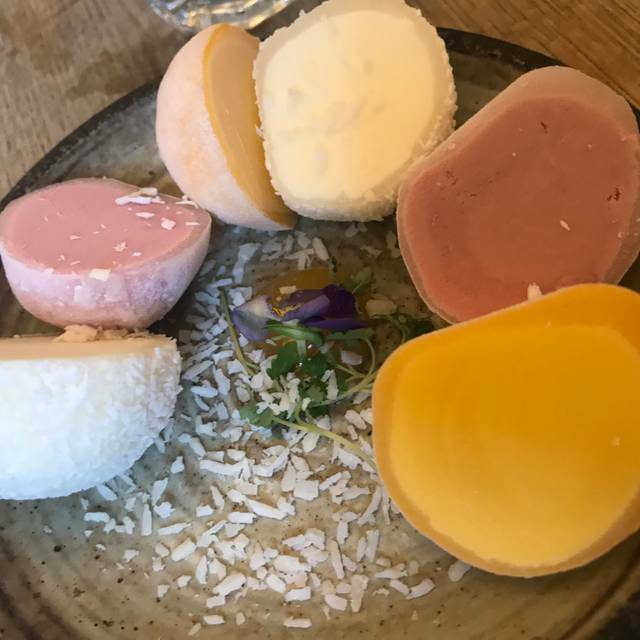 Okay Vietnamese but there are a lot of better options for Vietnamese in London. Our first visit and the meal was superb with interesting flavours in every dish. All the food, starters and mans, was delivered in one go so next time we will ask for it to be staggered so we can enjoy it at a slower pace. Loved our first visit - food was fantastic and lovely service. Will definitely be back! You made my girlfriend very happy :D and when she is happy, i am happy too. After eating many meals from the fine cookbook we were not disappointed to taste Thuy's cooking for ourselves. Great food and great value. We have already recommended this to friends and will return! Very friendly and open. They couldn't find my reservation but squeezed us in at the bar initially, then at a table as soon as possible. Menu is relatively short, but authentic Vietnamese. Great for sharing. Service couldn't be more friendly. It is a small place, so you can expect to be packed fairly close together. I found the table a fraction high or the chair a little low, depending on how you look at it. Food was very nice but a little bit expensive for the quantity. We spend £98.00 between 2 people which did include 1 cocktail and a beer. (2 starters, 2 main meals and one very small dessert) However, we left still feeling hungry. We had to stop in Camden Town to get something else to eat and I am not a big eater. I had the short rib curry which was lovely but I had the smallest portion of rice. Overall nice but needs to improve the quantity. Please note that the service was very good, absolutely brilliant staff. Service always excellent, particularly the bar tender who makes great cocktails. Food is delicious, but I do think the price of food is too high. Curry at £18 and then being expected to pay an additional £3 for a tiny bowl of rice seems unnecessary - why not just include the rice in price? I took my fiance here for her birthday and she loved it! The evening was lovely and food was really tasty as well as looked good. The restaurant was good looking and clean. I will happily be going back (and if I want a quick visit, then will definitely be visiting her lunch time stand on the market. Thw food was sooo delicous. The best asian food I've ever had! The staff was very friendly. Really enjoyed a pre theatre lunch here. The ingredients were clearly fresh & dishes delicious. 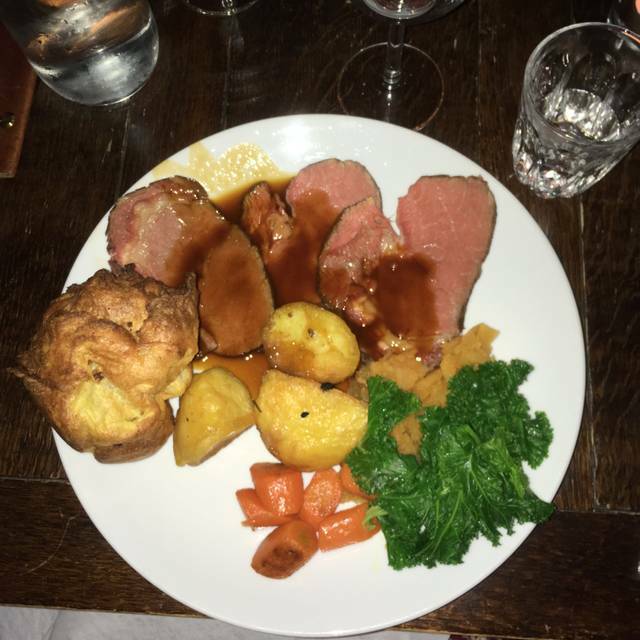 Amazing food - can't wait to go again. Would have preferred to be sitting on a chair than a bench (more comfortable). Lovely little restaurant and caters very well for groups. Atmosphere is relaxed and they make some yummy cocktails and mocktails. Yes this is a tad more pricey than other places but I feel the price reflects the quality of the food, service and location. I had the large regular Pho and it needed the additional sauce to give it some richer flavour. The meat was spot on. The lemongrass curry with chicken was well received by friends as were the lamb chops. My only suggestion is to include rice or noodles with curry dishes rather than making you have to pay extra. For other menu options sure charge it as a side.